1 in 5 “school-aged” children are obese, according to the CDC. This statistic really scares me. This is one too many children being overweight and unhealthy in the early stage of life. Being overweight or obese in the United States seems to become a leading “trend” It’s definitely not a trend that is a joke or healthy, it is more of an alarming concern. > Children learn and develop habits when they are young whether its food related or not. This is why it is best for children to be taught healthy habits and nutrition in school. The public health advocacy provides us with this fact sheet. The information provided in this sheet does not only inform you of an obesity problem but it also awakens you to the percentages and other statistics. It is obvious that children (and adults) who are obese have underlying health conditions that are the result of excess weight. I believe that the best approach to try to lower the percentages is education. According to the American Heart Association, we can have hope. Their tips below can bring some healthy habits to families. Encourage healthy eating habits. Even small changes become a recipe for success. Help your kids understand the benefits of being physically active. For more informative and helpful articles check out the Fill Your Plate blog. If you need some inspiration for healthy recipes Fill Your Plate has an amazing selection of recipes. (5) Lopez, L. (n.d.). Barrett the Honors College Arizona State University. 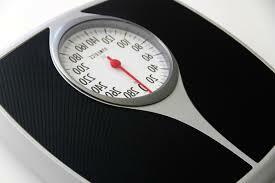 Overweight Youth: The Prevention of Premature Chronic Disease Development. This entry was posted in Diet Tips, Fill Your Plate, Food, Health Tips, Healthy Eating, Recipes and tagged Childhood, diabetes, food, Health, Obesity. Bookmark the permalink.